Jockey Alex Solis, trainer Gary Jones and champion thoroughbred racehorses Ashado and Curlin have been elected to the National Museum of Racing’s Hall of Fame in the contemporary category as announced by press release today. The electees will be inducted into the Hall of Fame on Friday, Aug. 8 at 10:30 a.m. at the Fasig-Tipton sales pavilion. Solis, 50, who is closing in on 5,000 career victories (he has 4,986 through Thursday), ranks ninth all time in purse earnings with $234,981,821 and 30th in wins. In a career that began in 1982, Solis, a native of Panama City, Panama, has won 321 graded stakes and 633 overall stakes. He has won three Breeders’ Cup races, including the 2003 Classic with Pleasantly Perfect. Solis won the 1986 Preakness, as well as seven other graded stakes, with champion Snow Chief. Jones, 69, won 1,465 races and had purse earnings of $52,672,611 in a career that spanned from 1975 to 1996. He won 102 graded stakes and 233 overall stakes. A native of Long Beach, Calif., Jones trained 104 stakes-winning horses, including Turkoman, the￼1986 Champion Older Male. Jones won 15 meet titles on the Southern California circuit, including four at Santa Anita, where he ranks sixth all time in wins (576) and seventh in stakes victories (72). He set a record with 47 wins at Santa Anita in 1976, surpassing the previous standard of 44 established by his father, Farrell Jones. At Hollywood Park, Jones ranks 13th all time in wins (463) and 10th in stakes victories (58). He also won 17 stakes at Del Mar, including the inaugural Pacific Classic with Hall of Famer Best Pal in 1991. Ashado (Saint Ballado—Goulash, by Mari’s Book), bred in Kentucky and owned by Starlight Stables, Paul Saylor and Johns Martin, won 12 of her 21 career starts with purse earnings of $3,931,440. She was named Champion 3-Year-Old Female in 2004 and Champion Older Female in 2005. Curlin (Smart Strike—Sherriff’s Deputy, by Deputy Minister), bred in Kentucky and owned by Jess Jackson’s Stonestreet Stables after a private sale early in his 3- year-old season, won 11 of 16 career starts and has the highest purse earnings in North American history at $10,501,800, surpassing the previous mark set by Hall of Fame member Cigar. 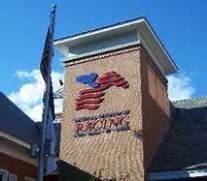 The contemporary electees were chosen from a nationwide voting panel comprised of 185 racing writers, broadcasters, industry officials and historians from a group of nine finalists selected by the Hall of Fame’s Nominating Committee. Results of the Hall of Fame’s Historic Review process, which examines candidates who have not been active within the past 25 years, will be announced in May. Results of the Pillars of the Turf election process, which honors individuals who have made extraordinary contributions to Thoroughbred racing in a leadership or pioneering capacity at the highest national level, will be announced in June.